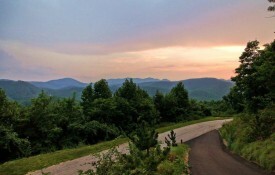 Black Mountain homes and mountain properties in a private NC gated community near Asheville. The Community Center was designed to be an extension of your own living space, comfortable and relaxed. Hear what others have to say about Creston. Keep up with the latest news about Creston and the Land of Sky on our blog. A vibrant community of neighbors welcomes you. Creston community residents pride themselves on their diverse creative interests, active lifestyles, and lasting friendships. Whatever your interests or hobbies you will find others at Creston to share with. Social groups have formed around a variety of activities such as hiking, wine tastings, yoga classes, trail maintenance and community-wide volunteering. A range of groups meet to discuss books, explore culinary arts, play golf and meet up at local restaurants and breweries. No matter your interests you are sure to find your place within Creston. We had a vision for a mountain community. As a husband and wife team, we envisioned an upscale private mountain community surrounded by natural beauty and easy access to the quintessential mountain town of Black Mountain. We wanted to design a place where residents enjoy a nature-based setting while living in their beautiful homes and benefit from peaceful seclusion. The vibrant arts & culture scene of downtown Asheville is only 25 minutes via NC Scenic Highway 9 and I-40. We planned homesites boasting exceptional vistas in a low-density gated community while preserving the mountain’s forest, streams, wildlife habitats and waterfalls. Our vision has become reality. As an established community for 14 years, Creston’s 100 property owners now enjoy the best of all worlds. Living on a freestanding mountain with fine neighbors, beautiful long range views, a woodland trail system, views of the Blue Ridge Parkway and a Community Center on the top of the mountain where owners gather for socials and varied activities. Owners have full leadership within Creston through the Homeowners Association. Half of the 1100 acres are preserved in perpetuity with the Foothills Conservancy; forever protected from future development for the enjoyment of residents, their families, and guests. Of the 135 homesites, 20 developer-owned homesites are For Sale. It is not too late to claim your dream homesite. Right now prospective residents have an opportunity to begin living the Creston lifestyle at value pricing. There will be no future phases, no surprise developments, no changed plans, no unfulfilled promises. You may want to be here. We welcome you to explore our exceptional community. Browse the current Community Newsletters for insights into neighbors and their community activities. The Photo Gallery offer glimpses of Creston's beauty and homes within. Call us to set a time for your visit. Work with us directly for the best possible price for a Developer owned homesite. Or, bring your own real estate broker to explore your options. We invite you to speak with Creston homeowners about how Creston has enriched and elevated their lives. We hope to share the enjoyment of living at Creston with you. Find out when a day hike is scheduled, or a weekly (x3) yoga (co-ed) class at the Community Center. Join in to meet those you may wish to be your neighbors. They will welcome you. 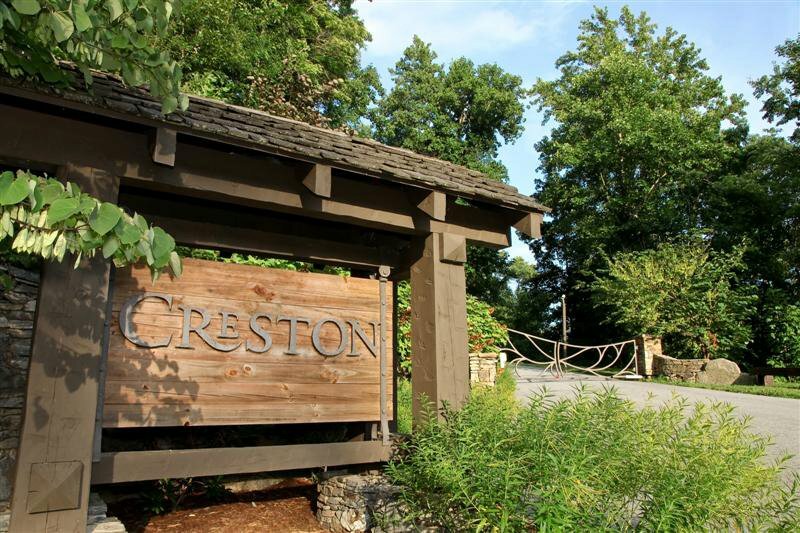 Creston is a Black Mountain Gated Community located just outside of Asheville, NC. Invest in Black Mountain property and enjoy this mountain community dedicated to preserving natural beauty. Centrally located to Asheville, Lake Lure and Montreat, NC in the Blue Ridge Mountains of Western North Carolina. While looking for gated mountain communities in Western North Carolina remember to visit Asheville, Black Mountain, the Biltmore House, Grove Park Inn & Spa, Chimney Rock Park and the Blue Ridge Parkway. At Creston you have to look no further to hike the trails to creeks, waterfalls and into Pisgah National Forest. Â© Copyright. All content and images within are property of Creston Development, LLC. All Rights Reserved. Website design by Firefly Design Studio.